If you maintain Citrix XenApp server farms, you are no doubt keenly aware of challenges inherent in keeping tabs on concurrent licensing growth in an organization. 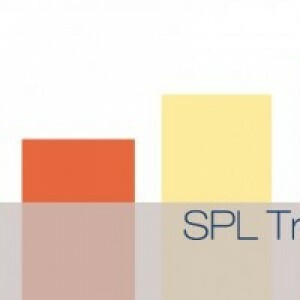 Except for the base level of XenApp Fundamentals, licensing is enforced by peak, distinct concurrent user connections to servers throughout the farm. This is different than Microsoft Remote Desktop Services licensing. RDS is licensed per user or per device. Most modern organizations in the Bring Your Own Device (BYOD) era opt for per user licensing, as most users will be connecting to RDS sessions from multiple devices such as tablets, phones, or desktops. In contrast, Citrix’s concurrent licensing model is based on the peak number of distinct users who establish XenApp sessions on any Citrix XenApp server in the farm at the same time. So, you could have a scenario where you have 15 users who could potentially access XenApp services, but only have purchased 8 concurrent user licenses, as you figure that no more than 8 of those 15 will be connected to the farm at any one time. In order to contain cost, but also see how usage is growing, it is very important to both keep routine track of how your concurrent licenses are being allocated, and if you’re starting to bump up against the maximum in your farm. Screenshot from the RDPSoft report on max distinct concurrent user sessions across a Citrix XenApp farm. 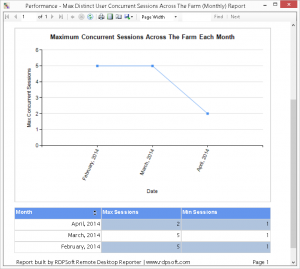 All of this is why we’ve added a new report family in Remote Desktop Reporter 1.9.4 called “Max Distinct Concurrent User Sessions Across The Farm.” This report can help you track peak distinct concurrent users over various time intervals such as monthly, daily, or even hourly. Schedule it on a recurring basis, and you’ll never have to worry about keeping tabs on your Citrix XenApp concurrent license usage ever again.